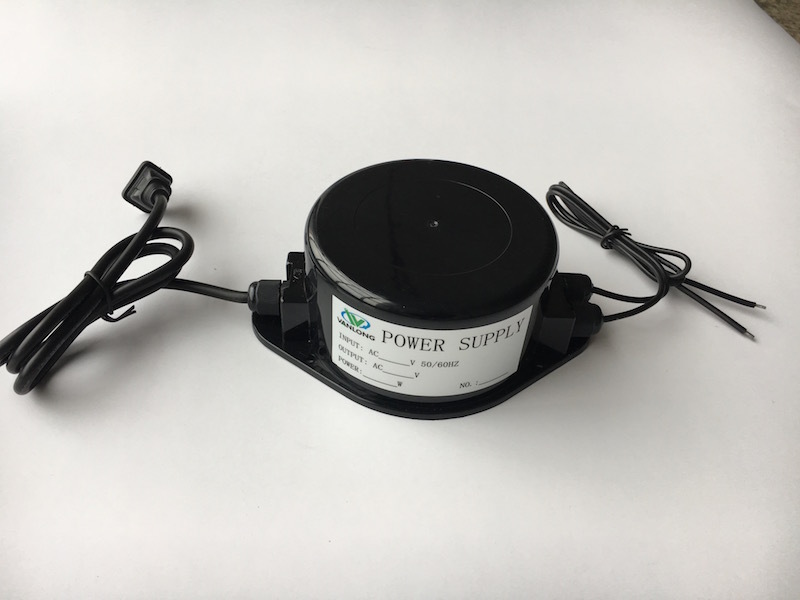 The power supply driver/transformer is specially developed by our company for smart PDLC Film and smart glass. It is made of fine copper material, has a very stable output. It has 3 grade output of driver for 50W,100W and 180W. Each for controlling 5,10,20 square meter smart glass/fillm. Output voltage can be set up to 36V/50V/60/65VAC or any for PDLC Film. Flame retardant material is made of casting epoxy resin. It acts high performance on insulation and water proof. The driver can be installed at special place like bathroom. You can put the transformer underground or in water. Operating release heat is very low. Circuit board adopts self re-cover system, It will cut power by itself when over load, over current or circuit short. When the other parts no problems, it will start to work again by itself. This system protects smart glass/film very well under a safety operation.